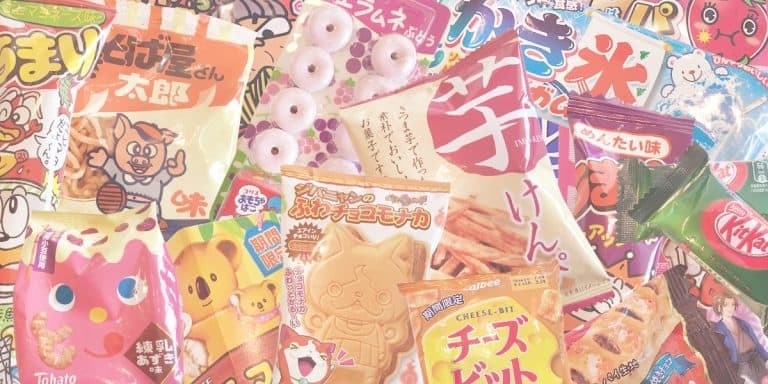 Japanese snack subscription boxes have exploded in popularity, and with good reason. Japan produces the most wonderful (and sometimes weird!) array of delicious munchy things. 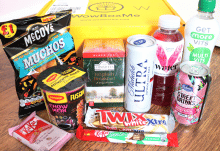 Not only is there remarkable choice, but the package designs are brightly coloured and extremely attractive. 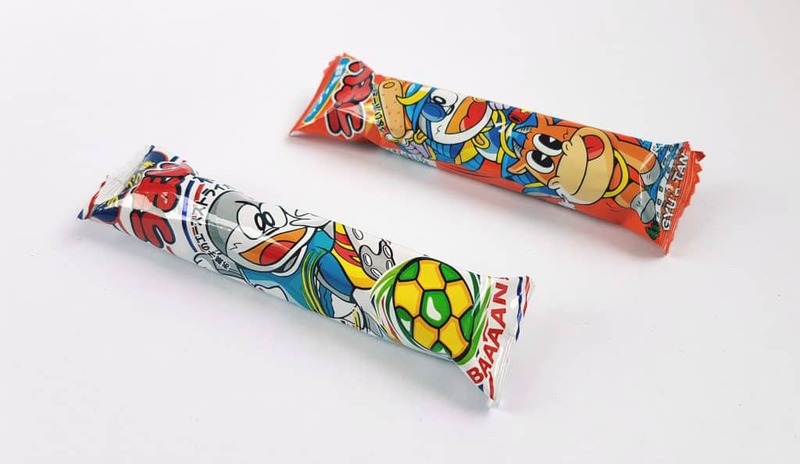 You can also get some unique versions of familiar sweets and chocolate bars. 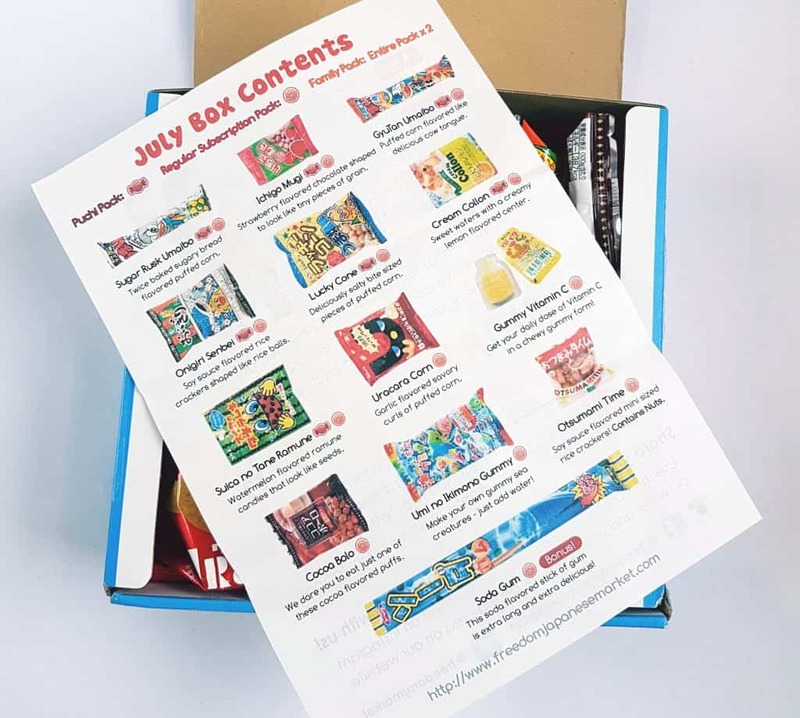 Family Pack – 24 to 32 full size and sample snacks including 1 DIY candy kit $45.99 p/m (£35.39) Two of everything – double the snacks without double the price. Longer subscriptions are lower price, and shipping is included. I was sent an Original Pack. While the box takes 10 – 20 days to arrive (which coming from Japan with no extra shipping costs is bloody good) it arrived in perfect shape. I love the anime-style picture on the box. 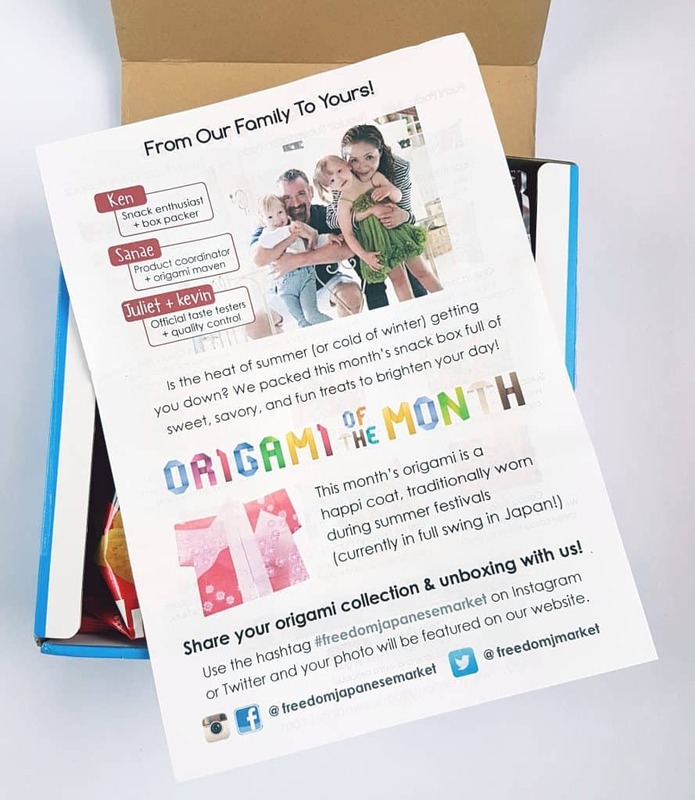 Inside you can see their menu, plus the handmade origami that’s included in every box! Isn’t that lovely? Sanae makes every one of these herself. 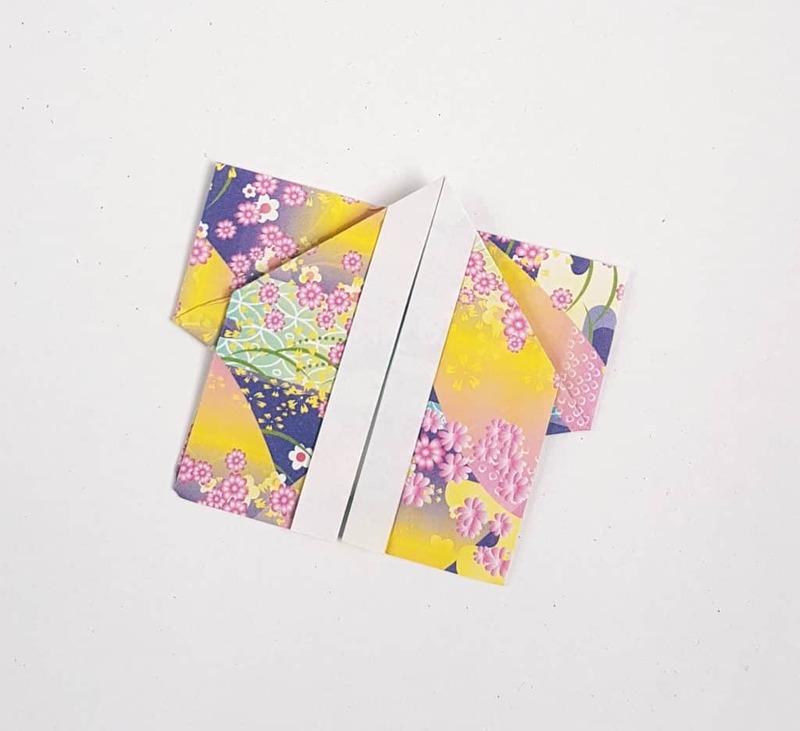 I can’t even imagine how long it would take me to make just one, so clearly she has magic hands for folding! Let’s take a look at the menu. There are some seriously yummy-looking things in there. On the left is Sugar Rusk Umaibo. I’ve never had a sweet umaibo before, so this is a new experience. Sugar rusk is a classic Japanese snack, which is basically like sweet crunchy dried bread. Sounds odd, and it sort of is, but having the crunchy corn rather than bread makes perfect sense. On the right is GyuTan Umaibo, which is cow tongue flavoured. Before you go yuck, remember that tongue is a very common cured meat in the West – you can find it in any supermarket. As it happens, I love cow tongue, so this is a great flavour for me! By the way, did you know Umaibo means ‘delicious stick’? The most apt name ever. 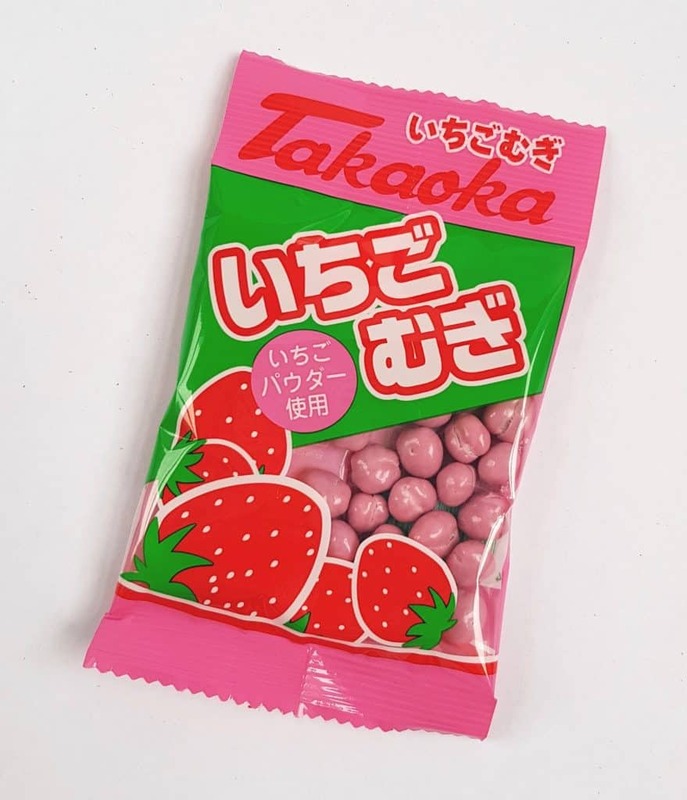 This cute pack is Ichigo Mugi, which is tiny pieces of strawberry-flavoured chocolate. They are shaped to look like tiny pieces of grain, but they’re basically tiny bursts of chocolate-y strawberry-y yumminess. These are Ongiri Senbei, which are soy sauce-flavoured rice crackers. This package is slightly different from the one on the menu, but it’s the same thing. The crackers are shaped like tiny triangular rice balls. I love soy sauce, and I love crunchy snacks, so I’m very pleased with these! Yay, another savory snack! 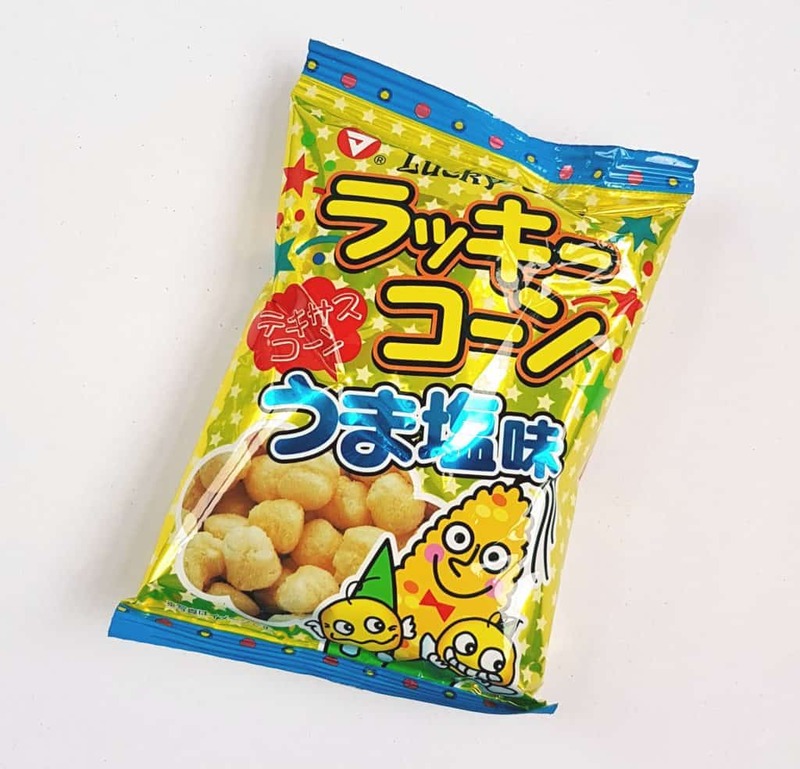 These are Lucky Cone corn puffs, this time a nice simple salty flavour. The Japanese are crazy for their corn snacks. Plus the recent typhoons have destroyed much of the potato crop, so potato chips are in short supply. I don’t mind at all though, I love corn snacks! Mmmm, wafer cookies. 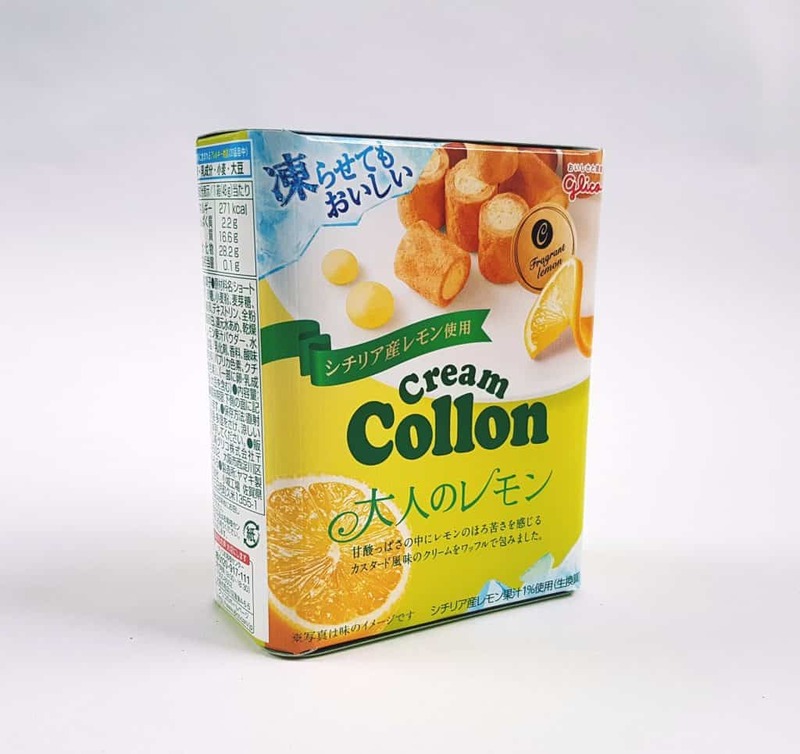 Cream Collon are little wafer tubes with a lemon cream filling. Delicious. Ramune is Japanese soda, and it comes in a variety of flavours. 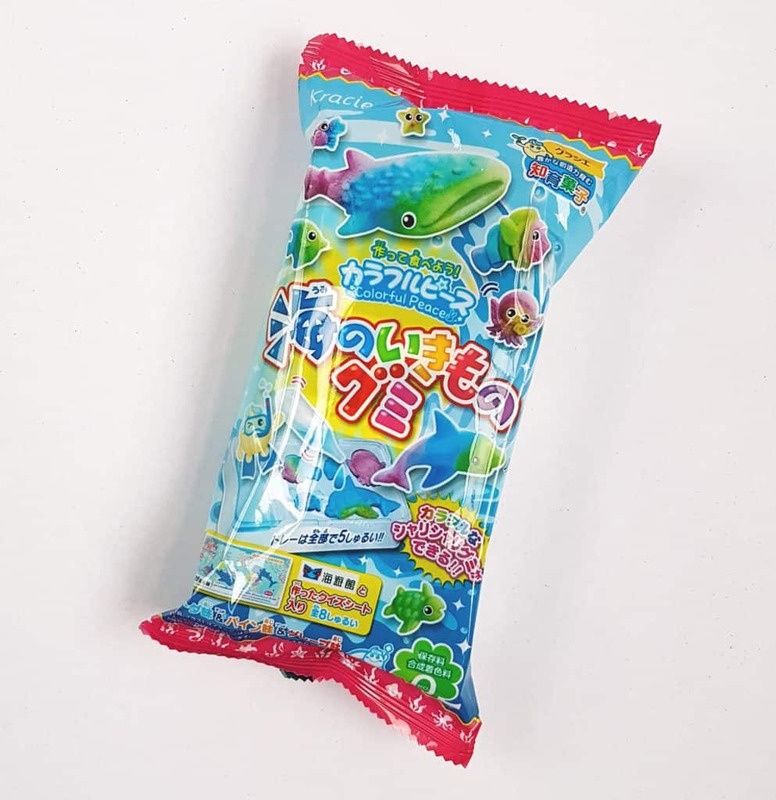 Also very popular is ramune candy, which is like little sweet/fizzy balls of the various candy flavours. 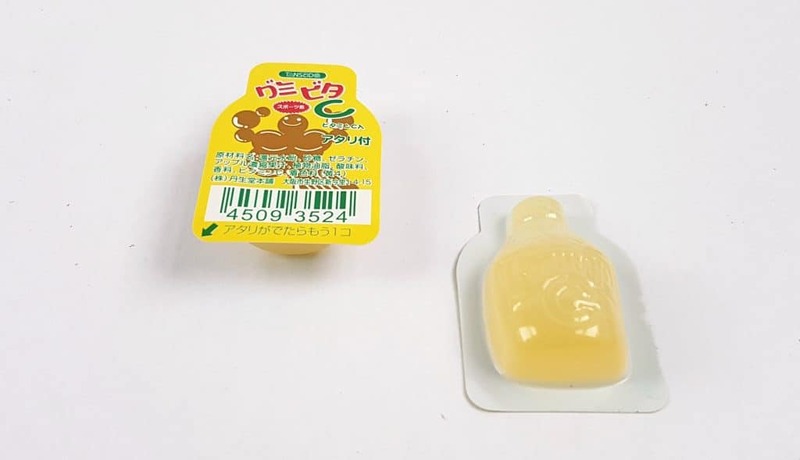 This Suica no Tane Ramune is (as you’ve probably guessed from the packaging!) watermelon flavoured. The candies themselves are made to look like watermelon seeds. Vampires beware! This is another corn snack, made by Tohato, which makes caramel corn (my other favourite Japanese snack). 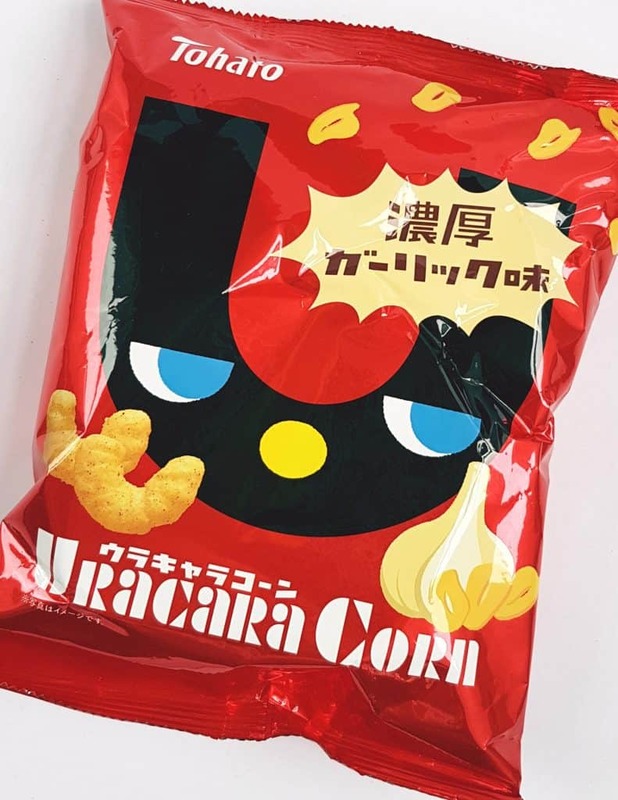 This is their savory version, Uracara Corn. Yes, that is garlic on the package. Marvellous garlicky crunchy pieces of heaven. I love garlic, and while it’s in lots of UK cooking, you don’t generally find the solo flavour in snacks. What a brilliant snack! Massive bag too. Candy pretending to be healthy always makes me giggle. Last month’s box had little Vitamin C-containing orange ramune candies. This month we have Gummy Vitamin C. They are exactly what they sound like, little gummies containing Vitamin C. They are much more sticky than regular gummies, but they are still nice. Chocolate! 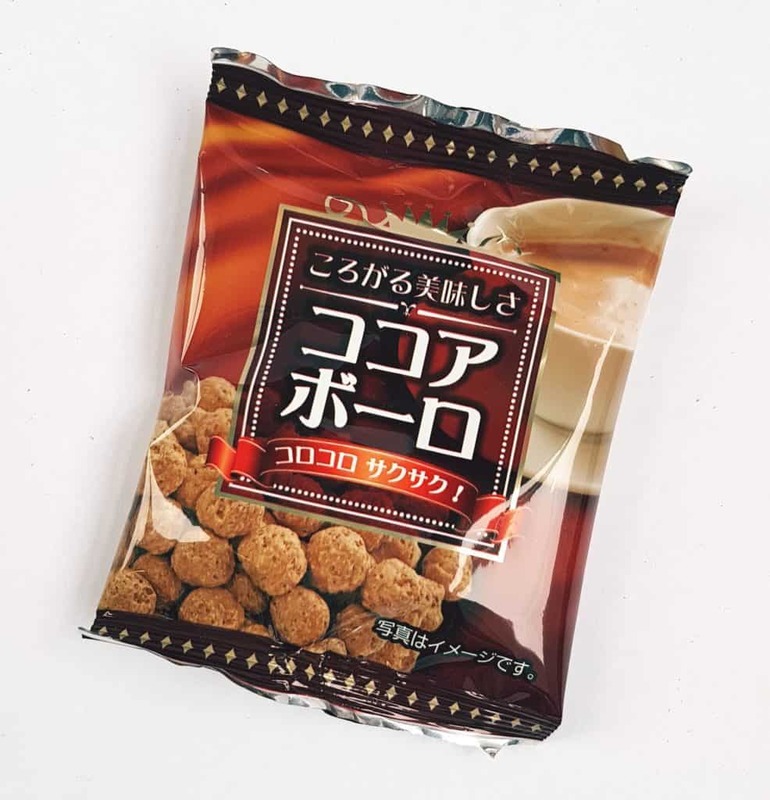 Cocoa Bolo are cocoa-flavoured corn snacks, and they are delicious. While they’re not quite as amazing as the Shittori Choco in the May box, they are still incredibly moreish. 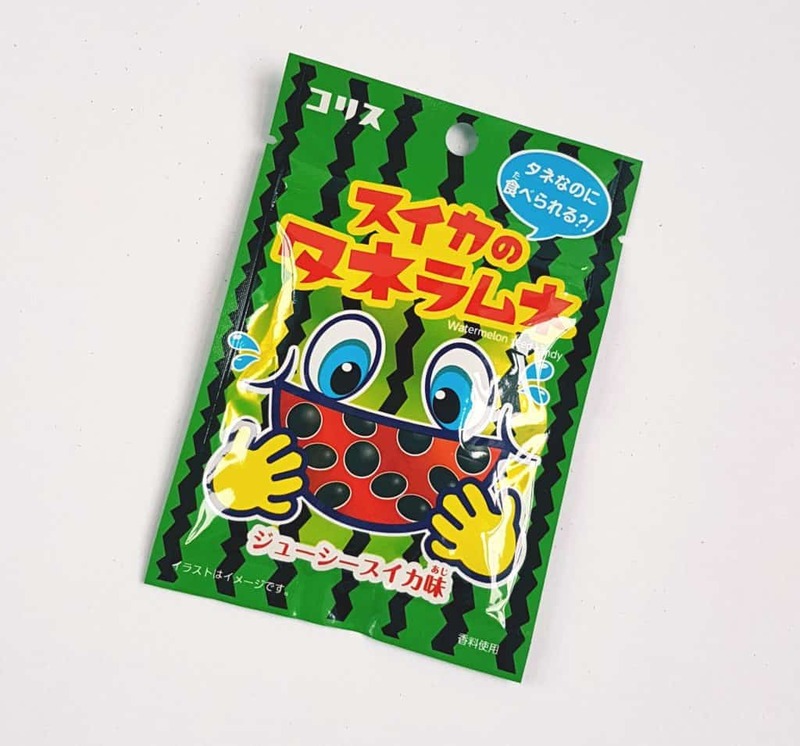 This is one of the famous Japanese DIY candy kits, an Umi no Ikimono Gummy. For once we actually did a kit straight away (usually I save them for a few days to attempt some control over our family sugar consumption), and I got some pictures of the process. My lovely helper was my daughter, Little C, who is a huge fan of Japanese snacks and candies. 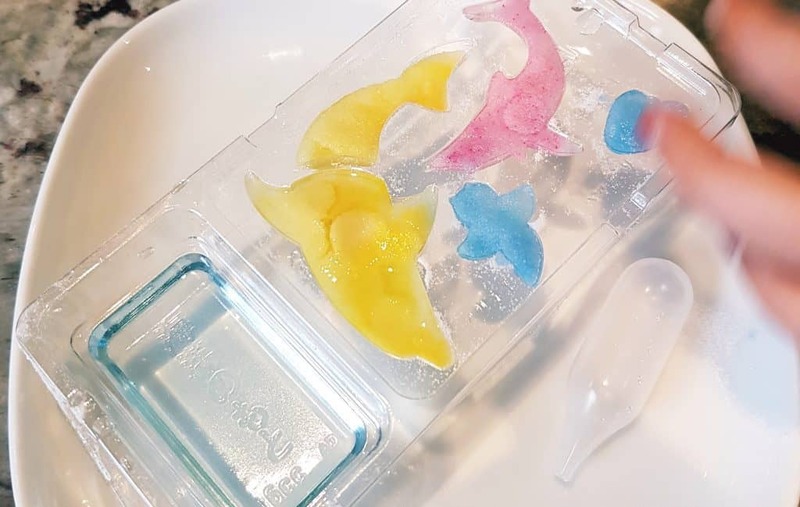 This was a gummy-making kit. 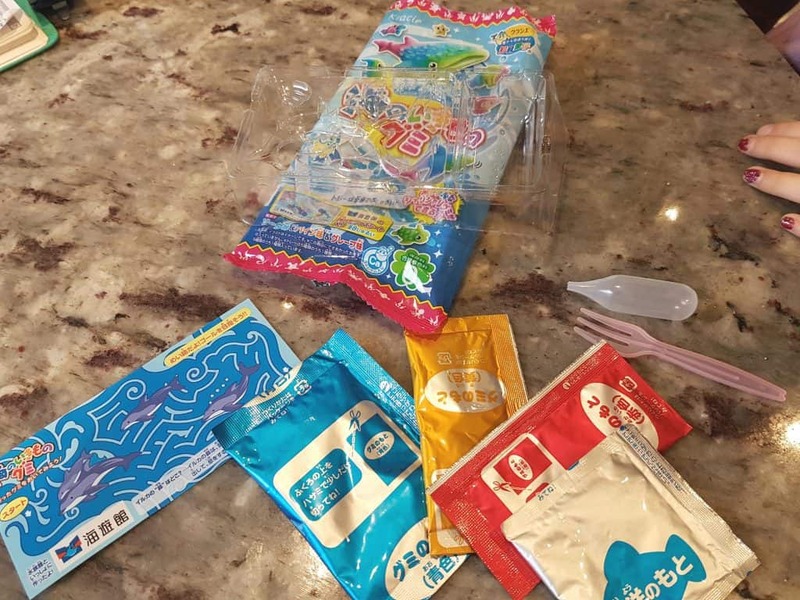 It contained various sachets, plus a mould. 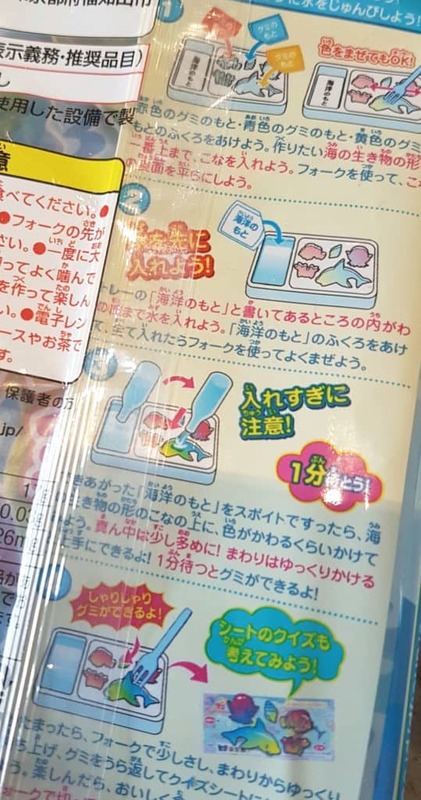 The instructions were in Japanese, but fortunately they were easy to figure out from the pictures. 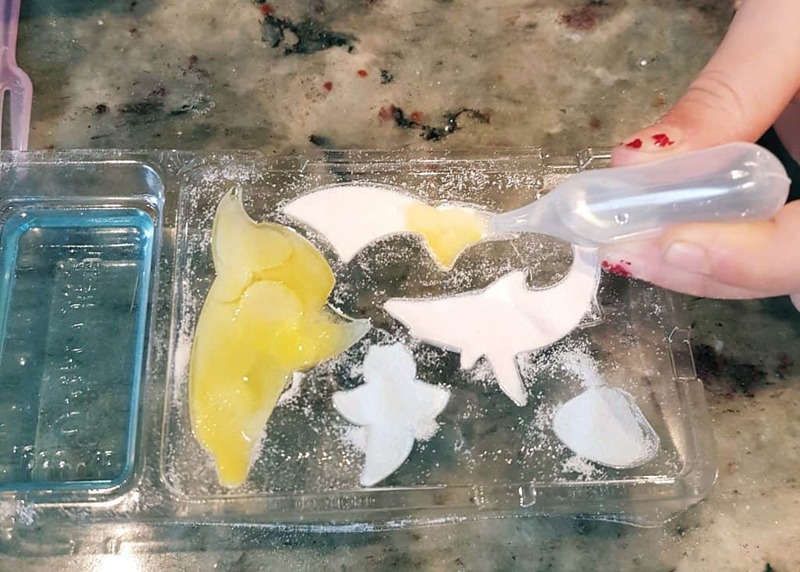 Basically you pour powder in the mould, mix another powder with water (helpfully measured with the mould) and then drip it onto the powder. We had to say that the process was better than the actual result. 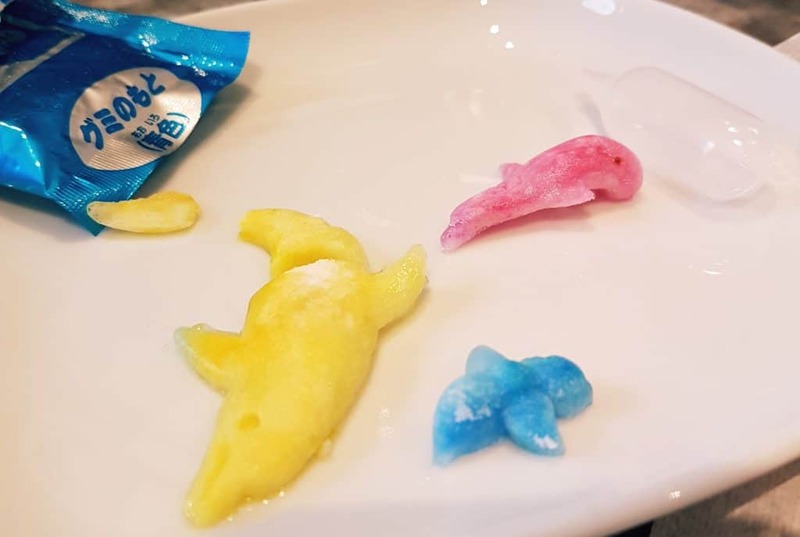 They were a lot of fun to make, but they didn’t taste that wonderful. However there’s a good chance we didn’t do it exactly right. Regardless, I was happy Little C enjoyed making them, and was happy she didn’t want to shove them all in her mouth immediately. 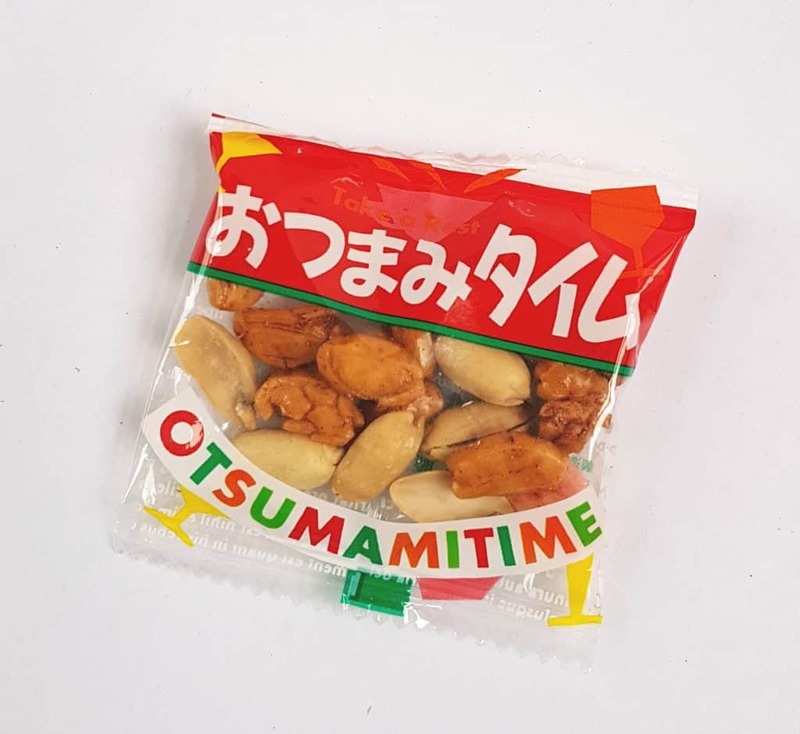 Otsumamitime are soy-flavoured rice crackers mixed with peanuts. They’re a handy little snack, and the addition of peanuts is very welcome, both for the variety of flavour and texture. This is the bonus item! 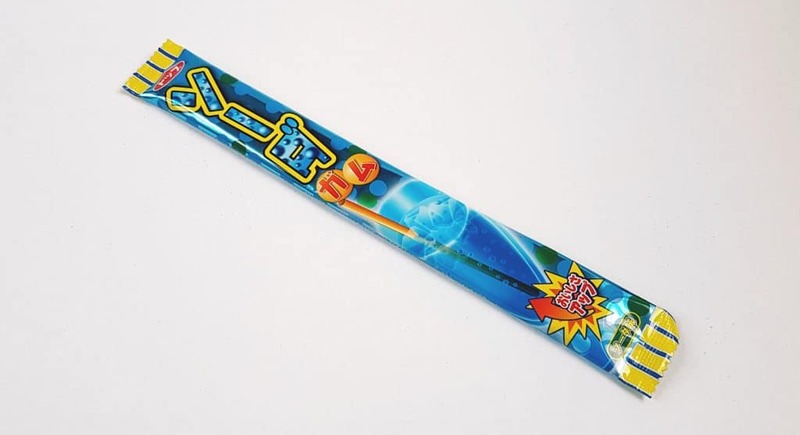 This is an extra-long stick of Soda Gum, which is exactly what it sounds like. It’s really quite large, I wouldn’t recommend trying to chew the whole thing at once! 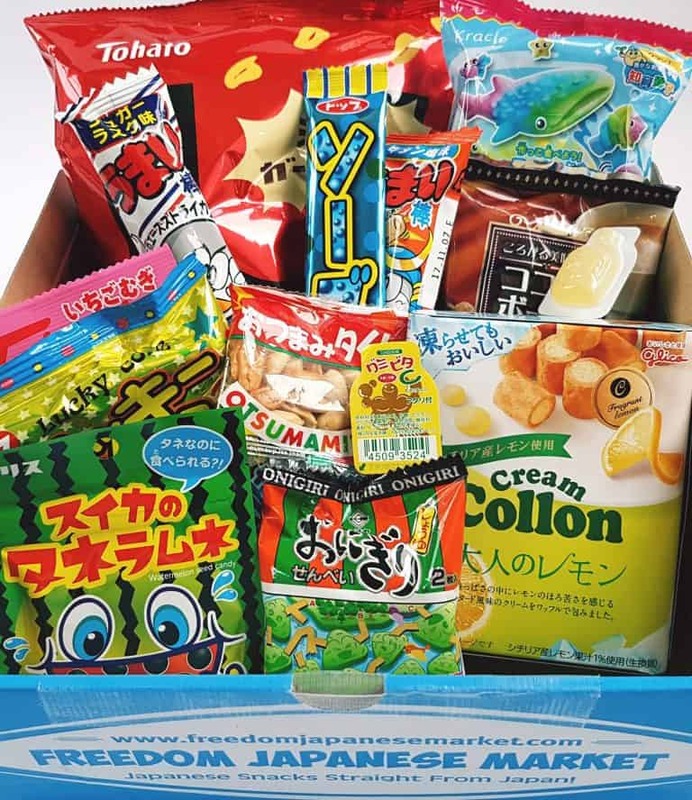 Another lovely selection box from Freedom Japanese Market. Thirteen items total, and five were savory. I love savory snacks. The wafer cookies, and especially the garlic corn snacks, were generously-sized packages. I’d like to say they’ll last ages, but they won’t because I am greedy. 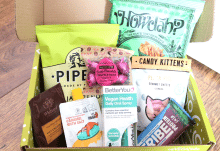 I’m super-happy that I can eat every single thing in this box! The Japanese love their shrimp and octopus, and produce many snacks with these flavours, but as I’m allergic to shellfish I can’t eat any of them. So I’m glad I don’t have to share this box with anyone. OK, realistically I do have to share it, and of course I will because I love my husband and daughter and want to share nice things with them. But hey, I can dream. 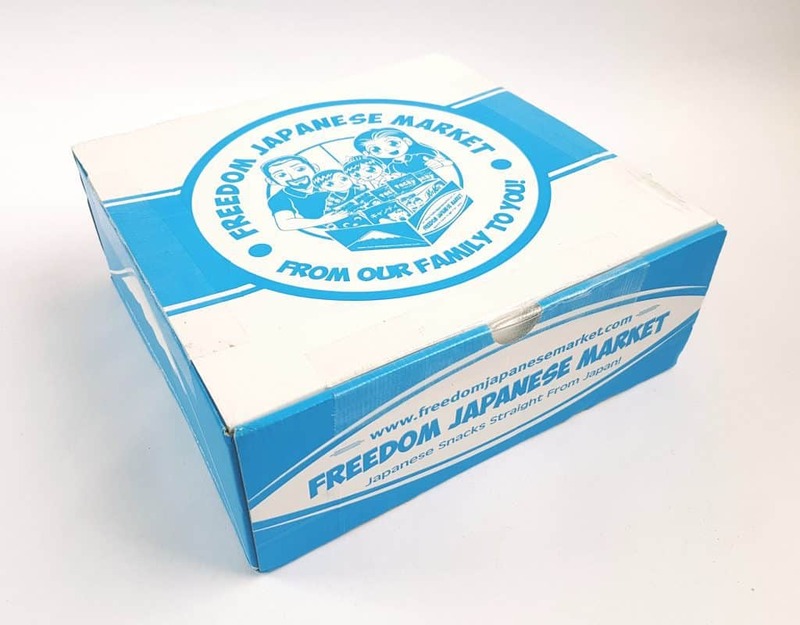 One of the great things about Freedom Japanese Market is that every single item is sourced direct from Japan, so is exactly what you would buy in stores there. 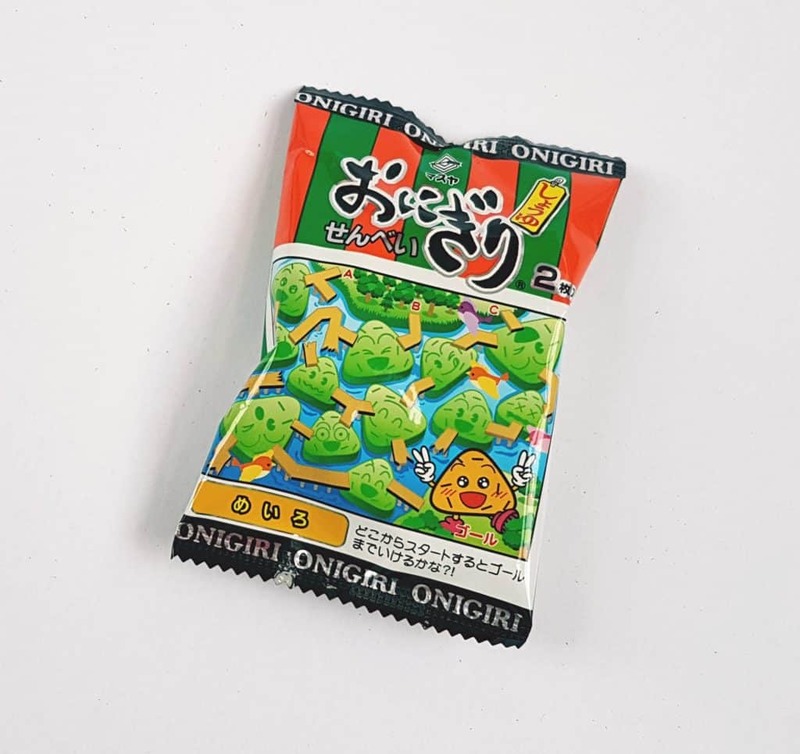 Of course you can buy plenty of Japanese snacks in the UK, but they are produced for the export market, so are generally different from the domestic versions. Also, the exported items spend months in the shipping process, so won’t be half as fresh. I really like that this is a family company. I’m all for encouraging small businesses, and this one has a fantastic product. Their customer service (Ken) is incredibly good, and they clearly put a great deal of thought and consideration into their monthly selections. Plus Ken is clearly as awesome at packing boxes as Sanae is at making origami! I think the value is pretty good for what you get. Sourcing all these things individually would be more or less impossible, and never for anything like as cheap as this. As always, smaller boxes (Puchi) aren’t such good value, so I think it’s definitely worth spending the extra eight quid and getting the Regular pack. 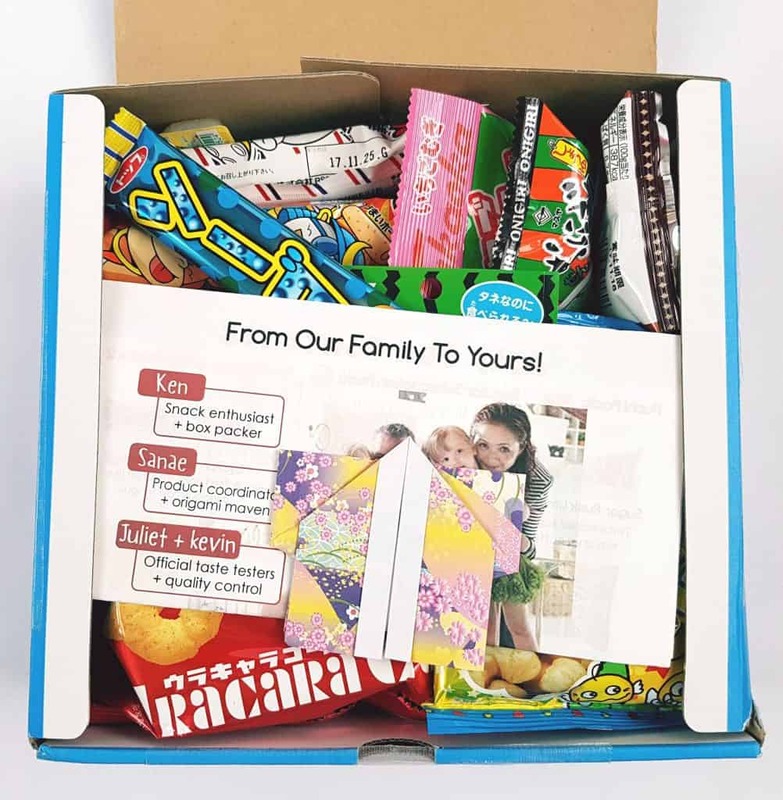 Or if you want to treat your family, get the Family pack! Then you don’t have to share with anyone. How would you rate Freedom Japanese Market ?